There are lots of things to consider when purchasing video games for your child. You need to know the pros and cons of video games and the effects they have on your child. Find what type of game your child would be interested in. Here are the best Nintendo 3DS games. Just like films, computer games have age restrictions on them. It is worth paying very close attention to. Most games come with a rating of 3 plus so it is important that you look out for creative games that will encourage your child to use their imagination. Introduce your child to some of your old favorite games if you are a lapsed gamer. Children also need time to be sociable. Agree a time limit that they can play on their console for. Bare in mind that video games can also be a good thing for children as it teaches them to be extra creative and learn new things. 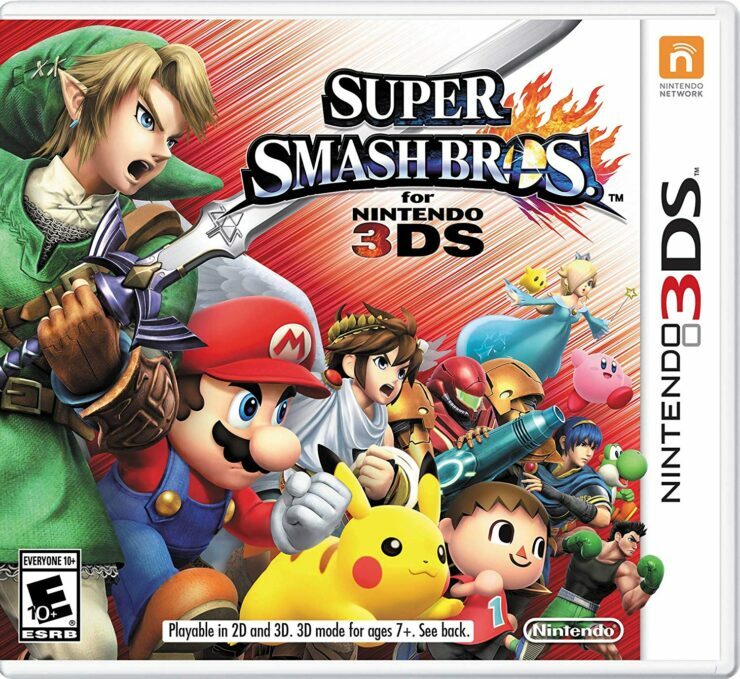 Super Smash Bros is a 3DS Nintendo game for kids. It is highly rated and is a very addictive game. It is a fighting game for kids aged 12 and up. This game offers Nintendo’s greatest heroes and villains in the palm of your hand or wherever you go. This game has many different functions including mini games. With this, you can play online and with other people if your device is connected to a WiFi source and beat them in different levels. Super Smash bros is a multi platform game with a fun cartoon vibe. Players can set their own rules, stages and items however they like. This game also has tutorials on how to play and all sorts of different practice modes. Super Smash bros is retailed at a very affordable price and was released on the 3rd October 2014, since the release, it has been a very successful and highly rated game. The Legend of Zelda is an extremely adventurous and action-packed game for all ages. Zelda has amazing visuals and 3D graphics that bring the game to life. This game is said to have been highly addictive by parents with an amazingly high rating. Zelda has multiple mini games and different challenges to try out. Complete all sorts of puzzles, traps and hidden rooms to save both worlds from severe doom! You have the ability to move within the walls, to do this you become a living painting. It is very interesting and has a large variety of different tools and weapons. 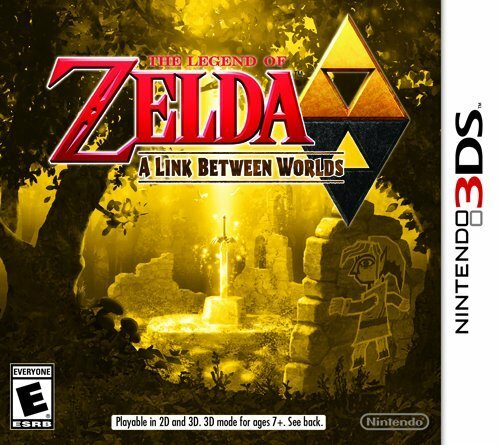 The Legends of Zelda was the 17th installment in the Zelda series and it was released in November 2013. Since the release, this video game has been exceedingly successful and is said to have been ‘one of the best games played’. Pokemon Sun is a Nintendo game for kids aged 10 and up. This game has mild cartoon violence but has a high rating and is recommended by parents. It retails for a very affordable price and is currently on sale. 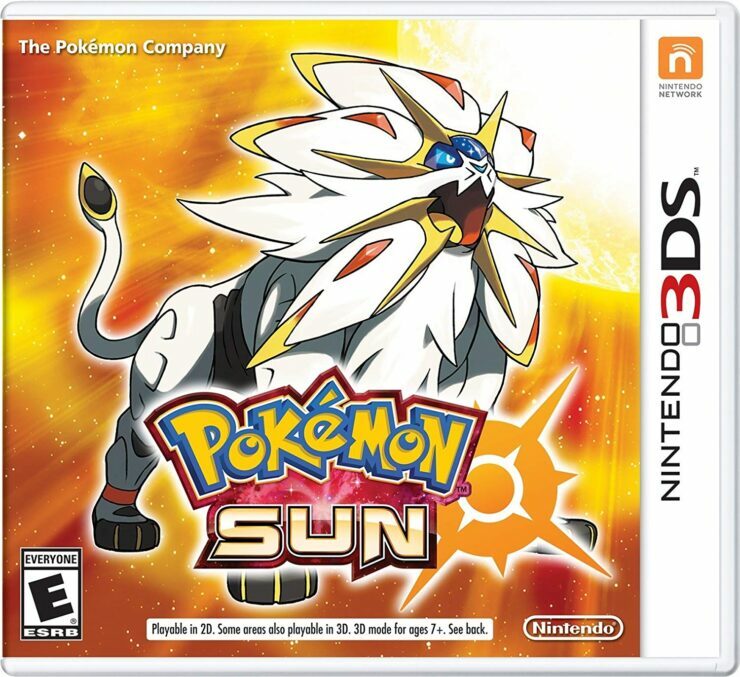 This 3DS game was released on the 18th November 2016 and became extremely popular. In it’s first week of being released, Pokemon sold over 10 million copies making it the 3rd best selling Nintendo title. In this game, you start as a young Pokemon and level up by completing different challenges. You are the Pokemon trainer and you can customize the appearance however you like. You can change the hair color, skin color, gender, outfits, hairstyle and more. In this Pokemon game, there are 81 new powerful species. Battle, catch and trade Pokemon on the tropical islands of a new region. Learn new battle techniques and evolve into better Pokemon. At the end of the game you can become the ‘Pokemon champion’. Mario Party is a 3DS game for kids over the age of 3. It retails at an inexpensive price and is currently on sale. It was released on the 10th November 2017 becoming exceptionally popular and became a highly rated game. This game was the 5th installment to the Mario Party series. 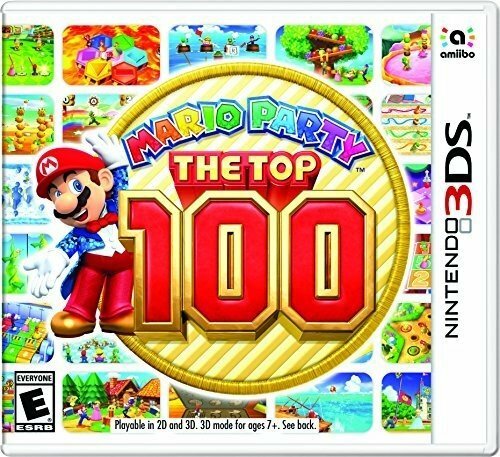 Mario Party has over 100 ultimate mini games! The goal in this game is to move around the map and collect coins and stars. You can play up to 4 other different players with just 1 game card if you have the downloaded version and take it in turns to complete the mini games. Test your memory, luck and speed with a variety of different game modes. Eat pizza and dodge penguins with Mario! This game is suitable for the whole family and keeps you busy for hours trying to complete all of the mini games. 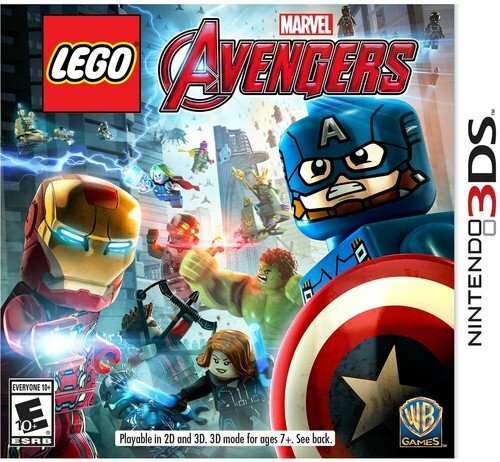 LEGO Marvel’s Avengers is an action-adventure game for kids aged 11 up. It is for sale at a very moderate price. It was released on the 26th January 2016 and is the best selling LEGO Marvel video game. This game allows you unlock more than 100 new and returning characters with a variety of thrilling capabilities. LEGO Marvel includes fans favorite characters such as Thor, Hulk, Iron-Man and Captain America. There are new powers and abilities, team up with Avengers to accomplish unbelievable combo moves. There are a variety of locations from around the world to visit in the game as it has hours of fun. 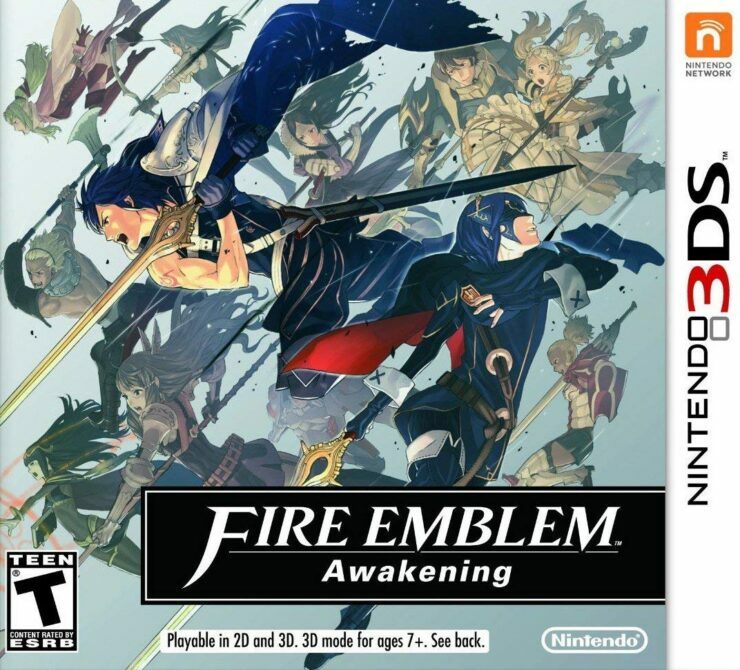 Fire Emblem Awakening is a interesting and enjoyable Nintendo 3DS game for kids aged 12 and up. It is a little bit more on the pricier side but well worth it if you are looking for a brilliant game. This game is a fantasy story line told through amazing 3D visuals giving you amazing graphics and makes the game more exciting to play. There is a massive selection of characters allowing you to strengthen bonds and friendships during battles. Create your own personalized character and change the appearance however you like. Fight against enemies in multiplayer mode and have hours of fun with this highly recommended game. 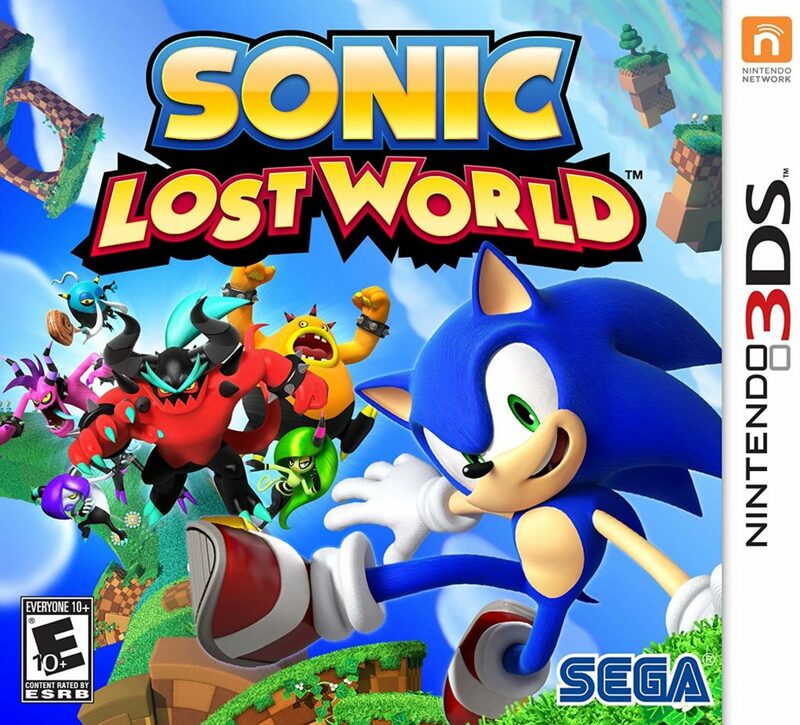 Sonic Lost World is a very cheap and enjoyable Nintendo 3DS game. It is highly rated and recommended by parents and it is for kids aged 11 and up. This game was released on the 29th October 2013 and is part of the Sonic the Hedgehog series. This game is an action-adventure game. The gamer controls Sonic as he travels to bravely rescue captured animals and stop the deadly 6. You can control Sonic’s speed, he can sprint and perform parkour moves. Sonic can run up walls and even perform double jumps in the air. He arches himself over obstacles and fly in the air, not forgetting that he can explode into his enemies. Sonic is super powerful and you can race against your friends in multiplayer races. 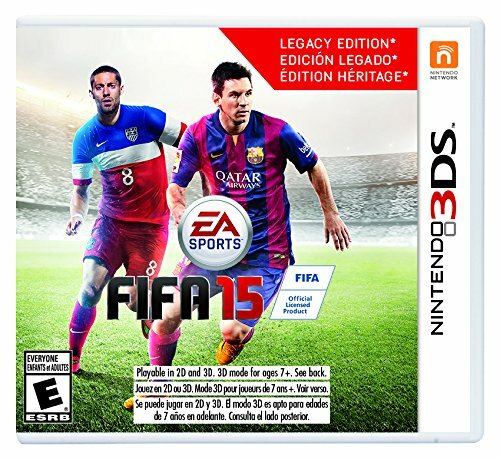 Fifa 15 is an extremely high rated Nintendo 3DS game. It is the perfect soccer game for fans and is tremendously popular. It has an age rating of 8 years and above. Fifa 15 is high in price but worth every penny depending on how much of a soccer fan you are. This game brings soccer to life in amazing detail. It has awesome 3D graphics. In this game you have the chance to experience soccer like never before. Listen out for the crows cheers and chants for their team. There are 22 players on the pitch, 11 in each team. You can experience the worlds best soccer player’s personalities and attitude towards the game. Fifa 15 was released on the 23rd of September 2014 becoming the first game in the Fifa series to be fully licensed by the premier league. This game has a range of positive reviews and is very child friendly. Donkey Kong Country Returns is an action-adventure game for kids aged 8 and up. It retails for a very cheap price and has over 70 levels of fun. This game of course features Donkey Kong but also features Diddy Kong. You can run, climb, jump and defeat enemies. This game has super amazing 3D visuals which brings the game to life. 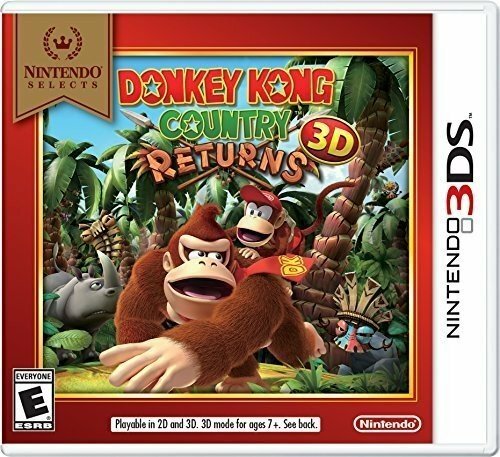 Donkey Kong Country Returns was released on March 11th 2016 and is highly rated by parents. They say this game is immensely enjoyable and filled with different challenges. Donkey Kong has the ability to swing from trees and vines to collect bananas and collect the golden ‘KONG’ puzzle pieces. Both Donkey Kong and Diddy Kong can defeat enemies. In single player mode, Donkey Kong can use Diddy’s jet pack to jump even further. Detective Pikachu is a fun adventurous game for kids aged 7 and up. It is retailed at a very moderate price. It was released on the 23rd March 2018 and has been very successful since it’s release. 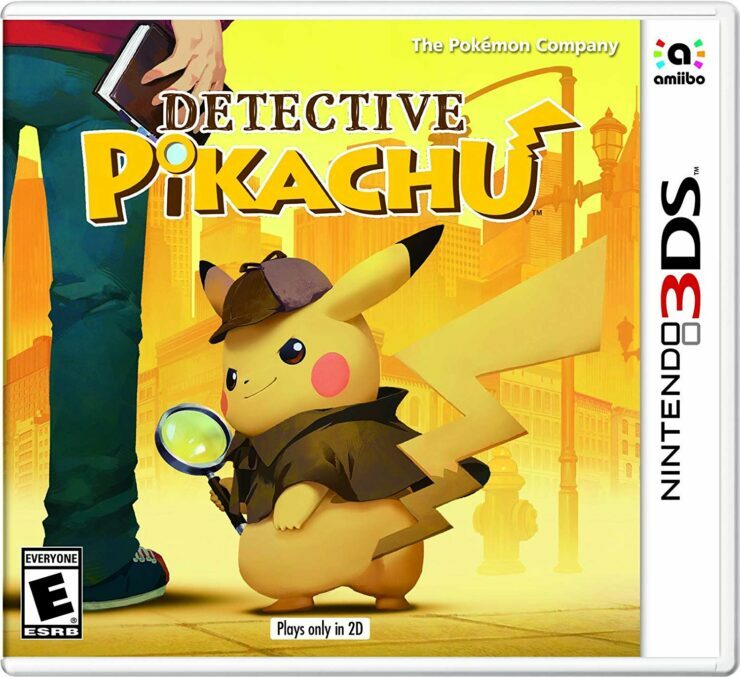 In this game you interact with a special talking Pikachu who describes himself as a ‘great detective’. When playing this game, you will be a character named Tim Goodman who’s father is missing in Rhyme City. When you pair up with Pikachu, you will solve all strange occurrences that happen all over the city. You need to try and find Tim’s dad by taking notes, investigating and meeting up with other Pokemon. Investigate crime scenes together to solve thoroughly interesting cases. 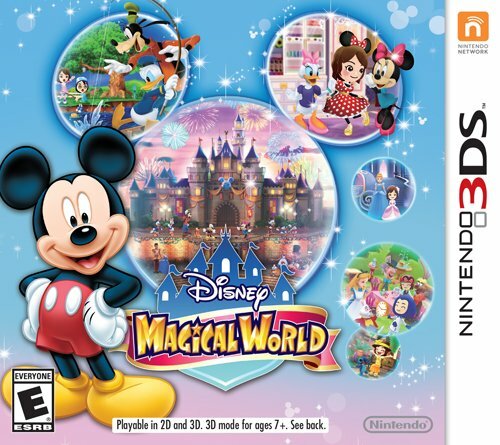 Disney Magical World is a very affordable and fun game for kids aged 7 and over. This game is full of never ending fun. It’s packaging is very colorful and interesting which attracts kids. In this game, there are over 60 of your favorite Disney characters that you can interact with. You can explore the fascinating worlds of Cinderella, Aladdin, Alice in Wonderland, Winnie the Pooh and many more! Build and customize your very own tremendous furniture in your own cafe and room. You can collect a bunch of Disney themed accessories and outfits for your avatar. In this game it is also possible for you to plant your own crops! Collect magic wands to battle through scary dungeons and forests. Your friends locally can also join your game too, you can show off your rooms and cafe’s to each other and view each others avatars. This game is exceptionally high rated and the magic never ends! Certain types of video games can help train the brain and improves your child’s thinking. It also makes your child use their imagination and become more creative. When playing online games, you are learning lots of new things you may not have known before. Your kid is learning to follow instructions and remembering different things. Good games such as quizzes, puzzles, problem solving or anything to get your brain thinking is a good choice to improve your intelligence. What should I do if my child is playing more than usual and how long should I let them play? When it comes to kids, it can be very hard to get them off. If your child is playing video games much more than normal, you need to agree a time for them to come off. Sit down together and create a schedule on how long they are allowed to play for. Give them a 5-10 minute warning before they have to come off before taking it straight off them. This will give them time to finish their games and save any levels for next time. If they do not listen to you, you need to consider and explain the consequences. Balance screen time with outdoor time making sure they stay social, this is very important for their health. Does gaming have an effect on individuals? Every child who plays these types of games is different. Kids who are addicted to gaming may have an effect on their personality. Obesity is very common in individuals who are addicted to video games because the child is sitting down all day without stretching any muscles and they will also become hungry. If you purchase a video game which is not rated for your child’s age, you may hear bad language coming from them. Bad behavior is another bad affect and falling behind in education. It is important you stand up as a parent to control their time limit and what they play.